We are a most trusted name in between the topmost companies in this business, instrumental in manufacturing, supplying, wholesaling and trading of Electric Transformer to our clients. This Electric Transformer is well known for its hassle free performance. 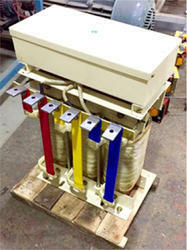 We have different types of Isolation Transformers. 3. "K-13 Rated" Isolation Transformer. 4. "K-20 Rated" Isolation Transformer. 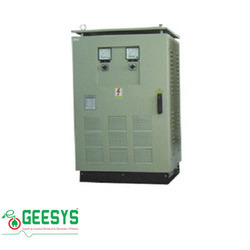 GEESYS is Leading Supplier and Manufacture of Industrial Isolation transformer uses a tank circuit composed of a high-voltage resonant winding and a capacitor to produce a nearly constant average output with a varying input. The ferromagnetic approach is attractive due to its lack of active components, relying on the square loop saturation characteristics of the tank circuit to absorb variations in average input voltage. Older designs of ferromagnetic transformers had an output with high harmonic content, leading to a distorted output waveform. Modern devices are used to construct a perfect sine wave. The ferromagnetic action is a flux limiter rather than a voltage regulator, but with a fixed supply frequency it can maintain an almost constant average output voltage even as the input voltage varies widely. Keeping the diverse requirements of customers in mind, we are instrumental in providing Ultra Isolation Transformer (Super Ultra Isolation Transformer). 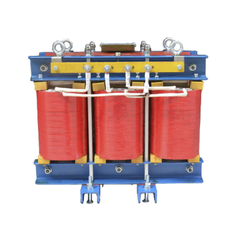 We are one of the reliable companies in this domain and are into offering K Rated Transformer. 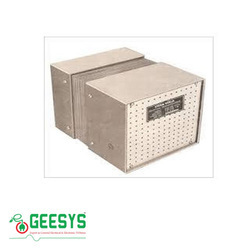 Sine Filter GEESYS Makes Sine Filter are best in class Filter delivering unequaled performance in cleaning the PWM Generated waveform by VFDs. Enriched by our vast industrial experience in this domain, we are into providing Isolation Transformer.